Delayed C-Section Mistake Lawyer South Florida | Gonzalez & Cartwright, P.A. A Cesarean section (“C-Section”) can become necessary for any number of reasons, but is typically performed to protect the health of the mother or child, or both. If performed properly, a C-Section can save the life of the child and the mother, and prevent any lasting injuries that may otherwise occur through natural birth. Although C-Sections are relatively common procedures, any number of complications can result in severe injury to the mother or child, or even death. Failure to properly perform a C-Section when one is called for can result in the most serious injuries in these cases. At Gonzalez & Cartwright, P.A., we take cases involving delayed C-Sections extremely seriously, and are dedicated to holding negligent medical professionals financially responsible for their actions. While care should be exercised in deciding to perform a C-Section in the first place, when a C-Section is delayed because of the doctor’s failure to adhere to medically accepted standards under the circumstances, that doctor or other medical professional should be held accountable. Our lawyers who specialize in delayed C-Sections understand the emotional devastation that you may be experiencing after a child or mother is injured, or loses his or her life, because of a delayed C-Section. 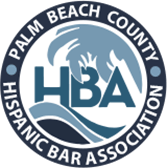 Our law firm is Hispanic-owned and fully bilingual, and we pride ourselves on serving the needs of South Florida’s Hispanic community. We are here to offer compassion, support and, most of all, the highest possible quality legal representation during this difficult time. Situations where the fetus is too large for the birth canal. Failure to secure a second opinion. Seconds matter in determining whether a C-Section is necessary, and a medical professional’s negligence in failing to recognize the need for a C-Section can change your life forever. Cases involving injuries or death that are caused by delayed C-Sections involve negotiating with the team of defense attorneys and insurance company representatives, all of whom are dedicated to minimizing the hospital or doctor’s liability in your case. At Gonzalez & Cartwright, P.A., we have a combined three decades’ worth of experience successfully going to battle to protect clients who have suffered catastrophic loss because of a delayed C-Section. We are not intimidated by the hospital’s attorneys and large insurance companies, and will fight tirelessly to protect your right to recover compensation for your loss. 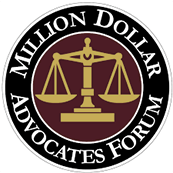 A full and fair compensation package will provide financial compensation for all medical expenses of the mother and child, future costs of care, loss of your child’s enjoyment of life and earning potential, and more. The results of a delayed C-Section can be severe and even catastrophic for the mother, child or both, and skilled legal advice can be necessary to hold the responsible parties liable for their actions or omissions. If you believe that a delayed C-Section was the cause of injury or death to your loved one, contact our lawyers who have specialized in cases involving delayed C-Sections by filling out this online contact form, to schedule a free initial consultation today. Our main office is conveniently located at 813 Lucerne Ave, Lake Worth, FL 33460, and we also have an office in Pompano Beach, Florida. We are also available to visit you in the hospital or in your home if you prefer. FAQ: How common are C-Sections? C-Sections have become much more common with an increase in medical knowledge in recent years. The national average for C-Sections is about 32 percent of births, while in Florida about 37 percent of pregnancies result in C-Sections. FAQ: Can’t a C-Section cause injuries to the mother or child itself? Can a doctor use this as a defense against liability in delaying a C-Section? Yes, injuries can and do occur during a C-Section, and those injuries can also be serious. In many cases, the possibility of injury during a C-Section may provide a valid defense to the doctor’s delay in performing the procedure. Despite this, medical technology allows medical professionals to closely monitor a mother’s pregnancy and labor, and there are many indicators that a C-Section is necessary to prevent severe birth injuries or death. Further, C-Sections are routine procedures that any competent doctor with experience in handling births should be able to perform without significant danger. Failure to properly act and perform a C-Section in the face of clear warning signs or risk factors can lead to much more serious injuries for which the doctor should be held responsible.